Nowadays blogging is the best profession for the educated person who can love and want to do it. Most of the best free blogging platform is free for blogging. Actually, people now use the blogging platform as like a white book for writing on it with his or her brain’s talk. By blogging anybody can make sure his passive income if they are serious about their passionate blogging. A blogger can make a “dot com” company to online easily and will be making huge money by using Banner Ad, Adsense, Affiliates on his blog which already he created. If you are a writer you can write on a blog, you a teacher?. you an engineer? you a doctor? then you can write on a blog to ensure your passive income and getting popularity from all over the world’s people. Today I will discuss with all of you about the best blogging platform ever. HostGator $0.01 Cent Web Hosting Coupon Code Offer! Get Started With Coupon Code! To create a new blog, first of all, you have to know that which platform is best for you and make free services for a newbie. If you are interested in blogging and want to start. I am sure that you are curious about the previous line huh? ok, no problem. In this post, I am gonna showing you the best free blogging platform to create a new blog. WordPress Ping List – For Quickly Indexing Of New Published and Edited Post! Those platform whiches I described in this post they are the most popular and effective. Maximum blogger in the world who are successful in blogging business they selected one of them from this list for their blogging journey. So, let’s move now we can see best free blogging platform and list of blog sites appear. WordPress is a free powerful platform for a new user or who want to try for free about blogging. If you are a beginner and try to test about blogging then you can choose it for better response. You are not able to use it for a professional use but can be as a test blogger or be learning something about the online or blogging matter. If you are sensual then you need to go with WordPress.org is described below. WordPress.Org is the most popular and best blogging platform for making a blog and continuing blogging to reach your goal. But on this platform, you need to buy a hosting. For installing it(WordPress) with your domain name. This is the better platform for running your WordPress blogging. I can give you some hosting link is really awesome. You can choose any of them without any doubt. A2Hosting: Is the compatible with WordPress. Even this hosting is made for WordPress user. It’s a faster hosting I saw ever. HostGator: One of the largest hosting company in the word. Who already has a million user. You can select here a monthly or yearly package. Here are lots of plugins and features freely which make your blogging journey so easy and comfortable. WordPress SEO system is more powerful from others and it is effective for search engines and SEO. Maximum WordPress dashboard is responsive and customizable for its users. If you search for anything in google search engine with a keyword then you can see that first page are carry on maximum WordPress blog. It’s really impressive for a WordPress user. Still, there are 56 million blogs. For those reasons a newbie blogger should start his blogging journey with this means WordPress platform. I can make sure yourself this is the best blogging platform to make money. Blogger is another powerful blogging platform for blogging. It’s a free hosted best blog platform from Google Company for its users. Here you need only buy a domain name. You know google its powerful search engine, so its platform is also powerful. It has a nice dashboard and so easy to use. Anybody can use it without any hassle. You can use free domain here with “Blogspot”. If you wish a top level domain then you just buy it and set here for the run. Blogger SEO is also powerful. Here you should all setting are set on the dashboard. So, you can use it for making a new powerful blog without any hosting cost. David Kark founded Tumblr in February 2007. At a time when WordPress and Blogger are more famous to every people then Tumblr carrying the 3rd reputation. For a new user it is so easy and it like a social media. 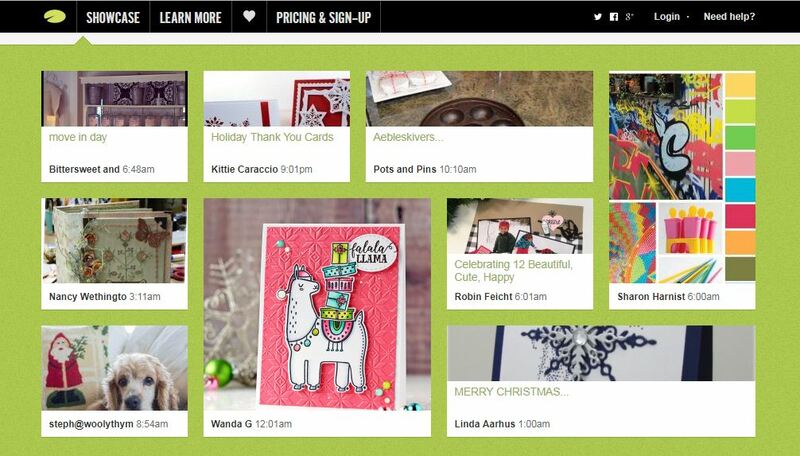 From anywhere you can customize it and upload the picture, video, and post as like mobile devices. Now it’s total user 152 million. You can use it free with its subdomain if you want a top-level domain the go forward with some dollar. Here you can capable to make your popular personal blog sites and can make it sublime. I included it best free blogging platform cause it is also free. 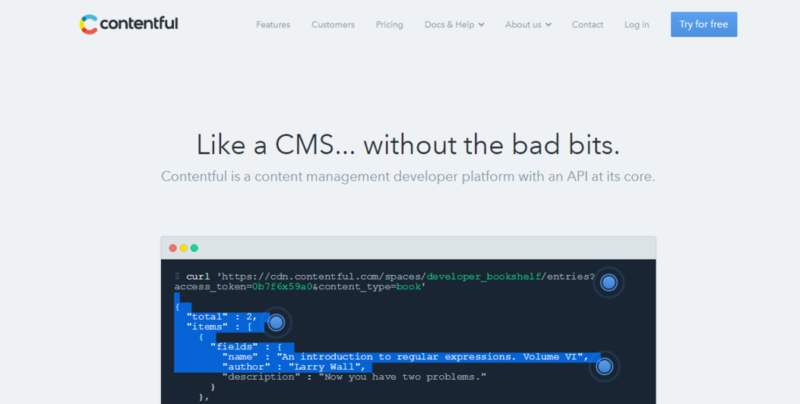 You can call your content into any design with the contentful API. Contentful is famous for content design. Many people don’t have any idea how they display their content but contentful provides a way to separate your content from your design. It is a CMS system site without the bad bits. So if you want to completely different site you can go to this powerful site also for other features. Medium is one king of microblogging site as like as twitter. It is one of the best free blogging platforms for making a blog. It is the invention of Twitter’s founders. If you want your work to be serious then this platform is for you otherwise not. You have a target about microblogging then you can choose it for better results. This site is the best blog platform, especially for MicroBlogger. Livejournal is another best free blogging platform and it’s started in 199. Because of its age, it is famous for blogging and social networking. It is very effective for commercial interaction. You can word here about fashion, write here journal but need to be serious about getting the better result. Ghost blogging platform is not common but exceptional from others. It is a publishing platform for professional bloggers. It’s a best free blogging platform for making your blogging success. This is only a free site can easily approach you to download and install yourself. You can use the ghost site for blogging and you pay on the basis of traffic. I appreciate you to use it for making a blog and continue your blogging journey. Google plus founded by Google developers on June 28, 2011. It’s total user 540 million per month. Here you can brand your products as like photography, architecture, home decor, fashion, food, technology, and so many. You can make the community here for social communicate for your massive traffic. You can business here with your products and article. It is one of the best free blogging platforms like others. Its owner is google and it is the 3rd social media now in the hole world. It is started for an article network, such a social networking site. Launched Aught06, 2006. It is founded by Paul and it’s user 74,000 now. It is totally free for the use you can use it as a newbie and learning. You can find here your best home for blogging and writing needs. Joomla is one of the best free blogging platforms. 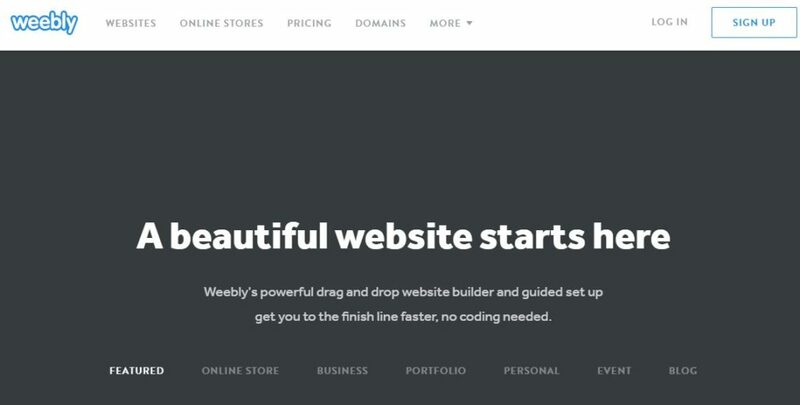 Here you can launch your site totally free. It is one of the best platforms for blogging and you can customize your blog here easily. This site recommended you Joomla coding to create a site. You can use it for making a blog and run for a long time with the blogging business to make passive income. 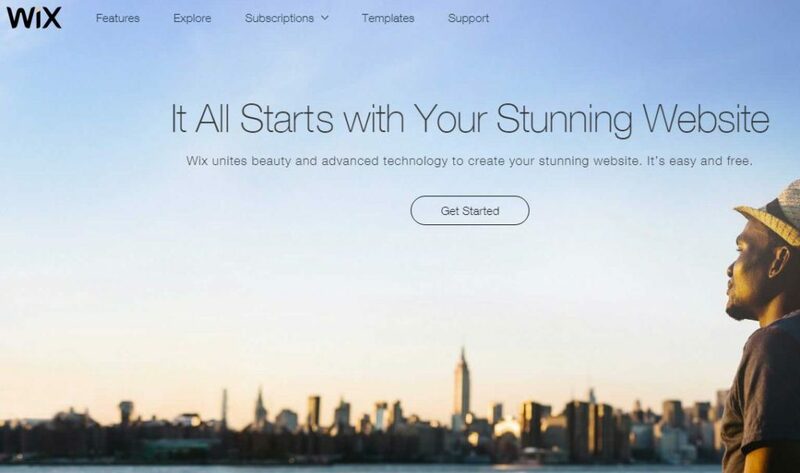 Wix blogging platform is another popular and free blogging platform for any kind of blogger. Here you susceptible to make best blog sites to read. I host another photography website on this “Wix Site” personally. It is an additional best blogging platform for a newbie. You can give it professional look just buying a domain name and setup it into this platform. This site is so easy to use by drag and drop customization. This site is personally famous for branding your e-commerce business on it. It can provide for Websites, eCommerce & Marketing in one place. So you can focus on what you love. This site can help you to transform your plain text into static websites and blogs. It has three feature Simple, Static, and Blog-aware. It’s connected to GitHub for free hosting with GitHub pages. 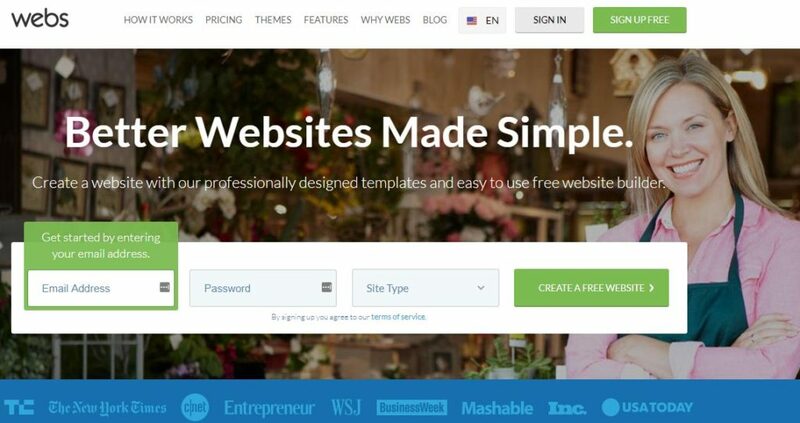 Squarespace blogging platform is the most usable and popular keywords in the USA. Most of the people using Squarespace for building their website or professional blog from the USA. It is an online software as a service based content management system. Even integrated website builder, any kind of plugins, blogging platform, hosting service, e-commerce site platform, and domain registrar. 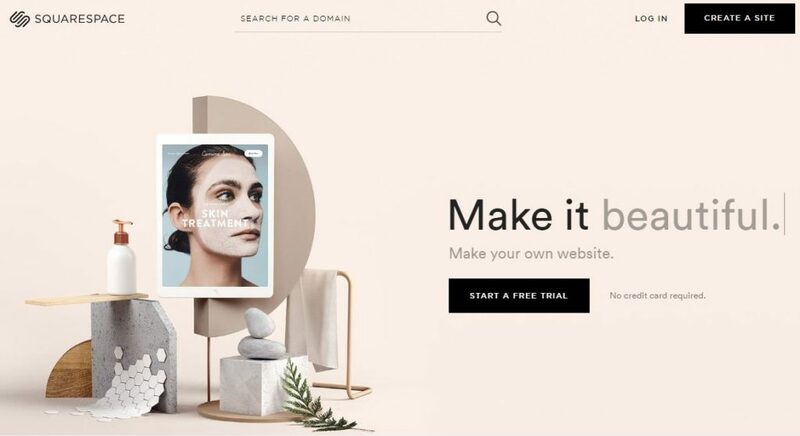 You can choose this platform to create a website template, portfolio websites, pricing site, photography website, online stores, or create a blog for your business. Webs are the free website builder which provided service from the year of 2001. It is the best free blog sites for making a free website and hosting. If you wanna to start here your choice is the right path. So, for the beginner, I am sure that webs are the best blogging platform which allows anyone to create a free blog. Drupal is a free blogging platform and open source content management framework which build or written in PHP. It provided the service under the GNU general public license. You can choose it as an alternative to WordPress. 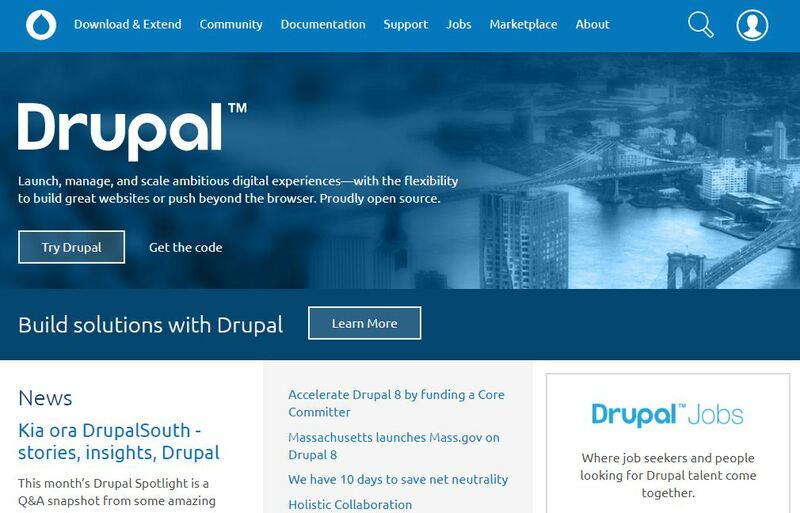 Drupal has some own features like Drupal Themes which helps you to build your Drupal Website, Drupal Templates which help you Drupal Website Development. You can choose it blindly for your next journey. TypePad is another blogging service owned by Endurance International Group. It is previously owned by SAY Media. You can share your passions with the world by using Typepad and make revenue from the blog. It has some words of a slogan “Small changes can make a big difference in the success of your blog”. Here are the top 11 best free blogging platform & best blogging sites to make money where you can start your blogging journey to make it easier and earn money online. I am also a WordPress user, I selected it for my blogging journey to make passive income. You can join me for your online money making business. Just select a platform which you want from this list and start. Then follow on this blog for more information on how to be a successful blogger with WordPress. If you have any question ask me please via comment. One request is here for you. Don’t forget to share it on social media. By doing this you can help me in promoting my post on social media. Now you are half of done after selecting a blogging platform for your blogging purpose…! Now you should know how to choose a good domain name perfectly for your blog or website. A domain name is one of the main parts of your blogging destiny. The cause has some reason I want to describe below. Probably one day you will be a successful blogger. Then people call you as a hero of the blogging world or online platform. Then most of them are highlight you through your domain name..! For example, I want to say my own story is somedays previous two people have highlighted me on the most popular forum. One is Warriorforum and second is Bitcointalk. They give my reference to the words is “Luthfar Rahman is The Founder Of BloggingAdvise.Com”. Hopefully, you are clear now how important is a domain for branding yourself or your blog. I suggest you for buying a domain name from some sites are really perfect for that. I am also a user of them. NameCheap: Is the most famous site for buying a domain name with a low price and you will be able to get Whoisguard free for the first year. This site provides you with 24 hours live chat support for any kind of help. HostGator: Is one of the largest trustable site for buying a domain name at a reasonable price. 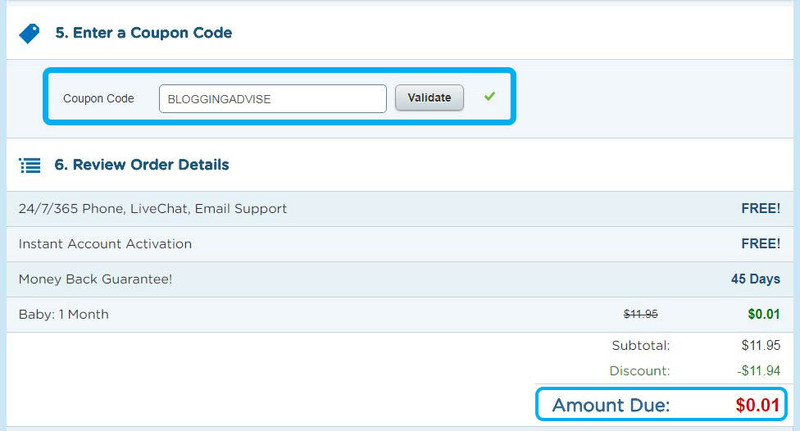 You can also choose HostGator for your hosting support. It’s can give you up to (70% Discount). Hi, I'm Luthfar Rahman(Mithun) is a Computer Engineer and Blogger. I'm the founder of Blogging Advise. This is a blog that aims to make bloggers' journey easier for their goal. I also love to help newbie bloggers to build a better blog and turn their passion into profit.